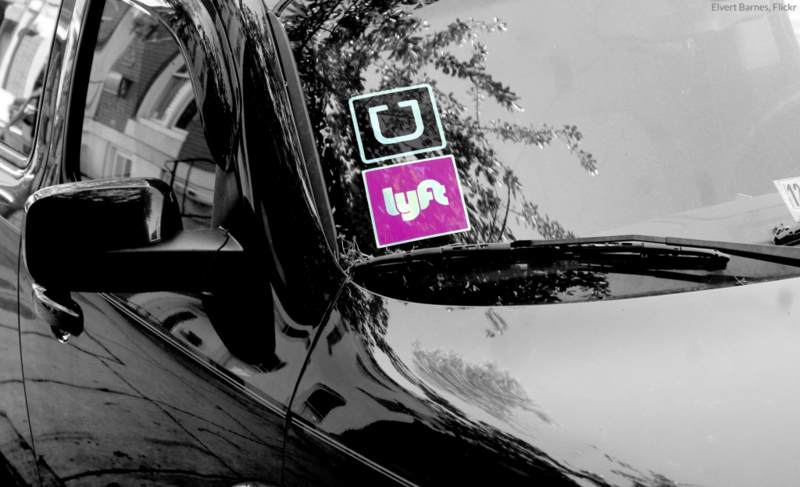 Over the past few years new mobility providers such as Uber and Lyft have led a massive lobbying push in nearly every state to pass state-level regulation, often in an effort to preempt local control over this burgeoning industry. Transportation network companies (TNCs)—and other new mobility companies—have shown they prefer a single, relaxed regulatory environment and oppose what they call a “patchwork” of local regulation. In reality, state laws preempting local authority remove control from the local officials who are best able to manage transportation on the ground. This was one of the many concerns that Transportation for America shared with local officials and other advocates around the federal AV START bill, an effort to preempt both state and local control over automated vehicle regulations. The TNC and auto manufacturing industries—which are both pursuing AV technology—supported the bill that was crafted largely without input from locals who have historically been responsible for managing their streets. Local governments can most effectively respond to concerns such as noise, congestion, or safety on a community’s streets. They need to be able to manage new mobility on their roads in the same way they manage all other vehicles, commercial and non-commercial, in order to ensure safe and equitable transportation system that serves everyone. Preemption strips local governments of this authority and leaves them without the tools necessary to protect the public and to address the problems that have and will surely continue to arise. As a result of the rapid proliferation of state laws affecting TNCs, only six states currently do not have statewide, comprehensive state laws over TNCs. In one of those six states, Oregon, the legislature is poised to hold an important hearing next Monday (March 18) on industry supported legislation which could have an enormous impact on the ability of cities like Portland and Eugene to manage their transportation systems. The following are important issues that legislators in Oregon and around the country should consider when debating legislation that will preempt local authority. Cities have historically had important powers to raise revenue through mechanisms such as fees for parking or individual taxi trips. The rise of TNCs has already impacted the demand for parking and taxi trips but also presents cities with an opportunity to raise new revenue necessary to ensure that the transportation system works for all users, including TNCs. However, state laws preempting local TNC regulations have eliminated cities’ ability to raise revenue from TNC trips. For example, Chicago, IL enacted a 15-cent fee on TNC trips, with revenue dedicated to improving the city’s public transit system. Chicago argued that TNC trips create additional congestion and divert riders, and revenue, from the transit system and therefore should help pay for improving the system—a claim that is supported by research. Similar fees have been proposed in Philadelphia and other cities. However, when transit advocates in Cleveland proposed a fee on TNC trips to fund that city’s transit system, they found that a preempting state law prevented the city from creating such a fee. A growing body of research points to the proliferation of TNCs as increasing congestion in already crowded cities. To manage congestion, cities currently have a broad set of tools they can use to manage street congestion. For example, most cities regulate where commercial loading and unloading can occur to manage traffic flow and protect people. Many cities also regulate where taxis can pick up and drop off passengers, often around major transportation hubs or destinations. Several cities are considering new tools like congestion pricing as an additional way to manage traffic. State law preempting such regulations for TNCs handcuffs local officials and limits their ability to manage a significant (and growing) cause of congestion. Under city-controlled taxi regulations, cities can track for-hire drivers and ensure that only safe drivers are picking up riders. Preempting state law would remove this local power. For instance, Austin, TX, set a requirement that TNC drivers be subject to a fingerprint-based background check. But the state preempted this power (after heavy lobbying from Uber and Lyft that were unhappy with the regulations), and removed the ability of the city to set these safety requirements over drivers. State preemption could even remove local governments’ power to enforce basic traffic laws necessary to ensure safety on city streets. While there may be a place for state law in setting some basic ground rules for TNCs and other mobility services, such laws should be carefully crafted to preserve a city’s ability to manage their streets as they see fit. (There is currently another proposed bill in Oregon that would set a floor on regulation while still allowing cities to regulate beyond that state-imposed baseline.) The same thing can be said about regulations on automated vehicles and other new mobility services—locals need a complete toolbox to be able to manage their streets; preemption laws put a lock on that toolbox. After all, Portland, OR may have very different needs than Bend, OR; local officials are best positioned to address those needs. While TNCs offer an important transportation option, they are just one of many options that cities are managing and should be treated as such by preserving city authority to regulate.